There’s nothing more unsightly than a tonne of toys strewn throughout your child’s room or even taking over the entire home. No matter how much you instruct your kids to tidy up after themselves, the toys seem to find their own way back onto the floor! As your child’s curiosity and toy collection grows, you’ll need to come up with toy storage ideas. MyDeal’s extensive range of toy storage bins will make restoring order to your home easier than ever. The huge variety among our range allows you to make space for large and small toys alike. From specialised soft toy storage to baby toys’ storage for those delicate items, we cover all our bases. Don’t have enough floor space to lay out toy storage bins? Explore our range of storage bags which can be hung up on hooks throughout the room, or grab a toy shelf to keep items out of your children’s reach. In addition to varieties in form and functionality, our range of toy boxes and organisers cover a plethora of designs to suit any home decor style. This includes classic wooden and white kids storage options, as well as quirky and cool designs like police cars, fairy toy chests and school bus shaped toy storage bins. Kids Toy Storage Has Never Looked So Good! While toy clutter can make your home look like a war zone, basic storage boxes to keep the mess away can also be unsightly. MyDeal’s toy storage options are designed to be both functional and adorable, improving the look and feel of your home in more ways than one. With a toy box from MyDeal, you can store a variety of toys such as cars, dolls and figurines that your child plays with frequently and needs regular access to. As these sit on the floor and are accessible from above, your child can also easily put away toys when needed. 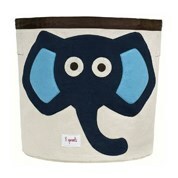 A toy box with a lid can also act as a wonderful bench for your child to sit and play on. A toy organiser, on the other hand, is usually in the form of a shelf or unit with drawers. If you want something even more sleek and minimal, a floating shelf makes for a cool stylistic choice. With a number of lovely designs available, you can use our toy organisers and boxes for more than just dolls and toy cars. The versatility of our products means you can display your favourite magazines or books for guests to enjoy, or have items like throws and extra pillows on hand yet out of sight. 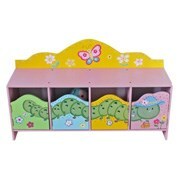 For the best range of toy boxes to buy online, look no further than MyDeal. Great product for price, very happy with product and service. Sturdy, perfectly sized. Toddler loves it! Very cute and useful to put away the smaller lighter toys and or books. I suspect the usefulness as a seat for a 4 to 5 year child will probably end in disaster as I have difficulty believing that such thin covered "wood" has the strength to support the required weight. "Visually" the presentation is very appealing to youngsters. Good quality, is as appears in the picture. Easy to assemble. Just what I needed, perfect size and keeps the toy room neat & tidy. Great, sturdy toy box. Was very impressed with the design, especially the lid with the secure hinges so the lid doesn't drop when open. Good. Enough space to arrange and store child books, toys and other necessary things. Also looks colourful and beautiful. This cabinet is adorable. My 3 year old loves it. Only negative thing would be there was no picture of the finished product with the assembly instructions. 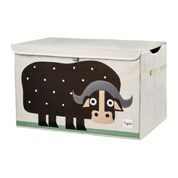 This is a great product and very useful for keeping the toys of my grandchildren tidy. However the large green tray was broken upon unpacking. We were able to glue it together but not ideal. Thanks for quick service.